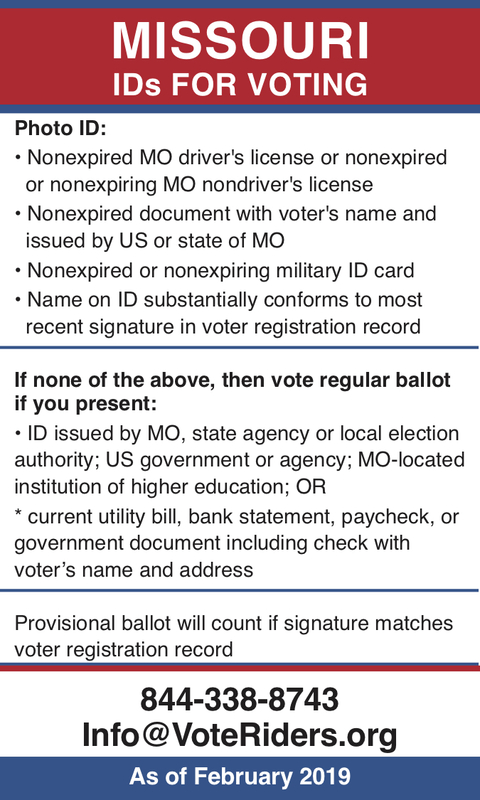 What ID is required to vote in Missouri? 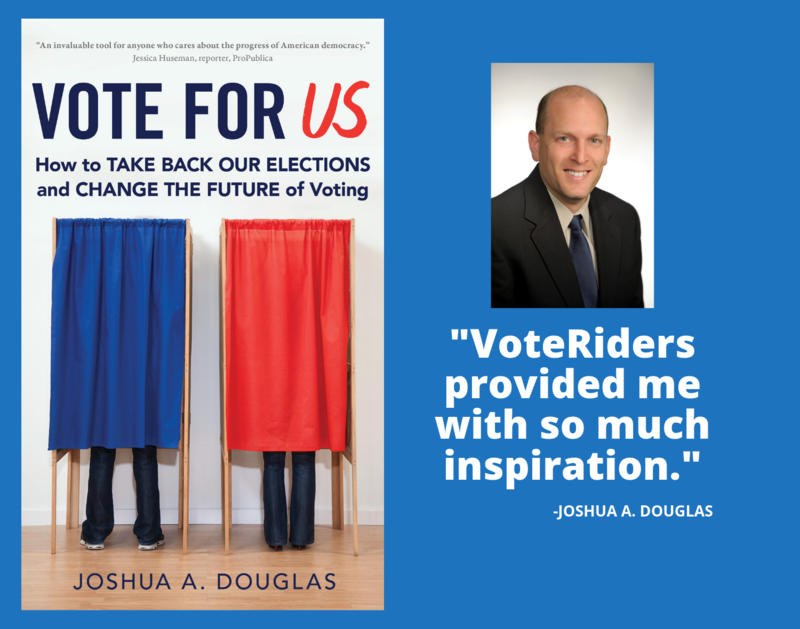 VoteRiders has all the information eligible voters need, and free assistance obtaining your Missouri voter ID. 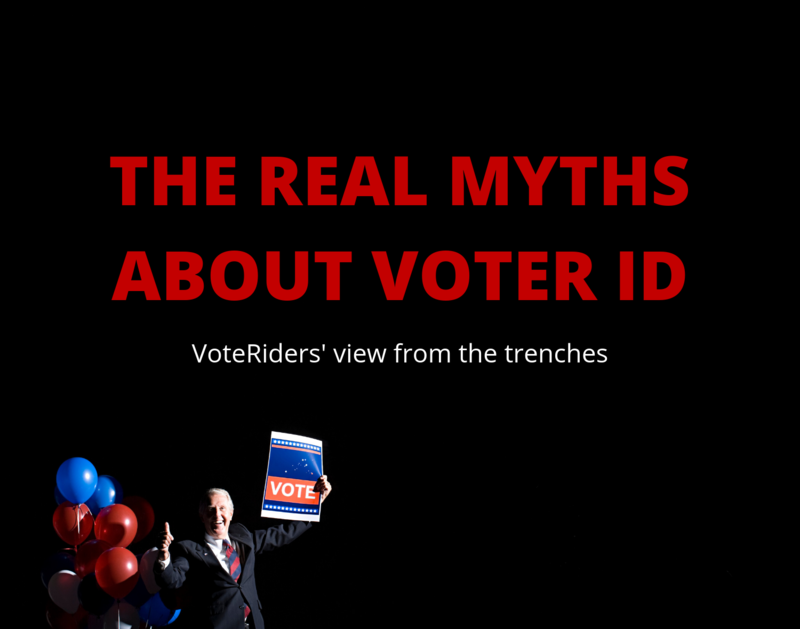 Missouri's voter ID law can be confusing, so if you have questions or need help replacing your expired ID cards, obtaining the documents needed to secure your ID (e.g., birth certificate), and how to correct errors in your birth certificate - call or text VoteRiders’ Voter ID Helpline: 844-338-8743. This information updated as of 10/23/2018. Concise guide to voter ID rules in Missouri.